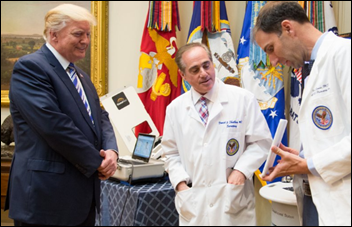 President Trump fires VA Secretary David Shulkin, MD after a wave of negative press around questionable funding for Shulkin’s trip to Europe last summer. Shulkin believes the ouster came from political opponents who want to privatize the VA, a move he was quick to slam Wednesday in a New York Times editorial. President Trump will nominate the White House physician, Rear Admiral Ronny Jackson, MD, as Shulkin’s replacement. Shulkin had reportedly recommended Jackson for a VA undersecretary position last fall, but the President wanted him to remain in the White House. The status of the VA’s proposed no-bid contract with Cerner remains cloudy as Shulkin departed without signing it. Experts are expressing confidence that Acting Secretary Robert Wilkie – who has no VA or healthcare experience — won’t want to take on the responsibility of executing the Cerner contract, but I wouldn’t be so sure: Jared Kushner pushed Cerner in the first place and the White House may tell Wilkie to just get it done as a purely administrative chore that lets the White House take immediate credit. That’s the bet I’d make. From CanadaEh: “Re: Novia Scotia. Has released its provincial RFP to the two short-listed vendors, Cerner and Allscripts. Demos are planned for May and June.” Unverified. 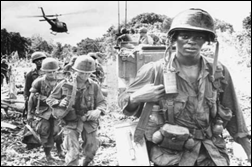 Thursday was National Vietnam War Veterans Day, honoring those who served and died in the conflict that ended 43 years ago. If you were deployed to Vietnam then and are still working in health IT all these years later, fill out my online form and I’ll list you in an upcoming post. Intermountain Healthcare (UT) will shift 98 of its 358 IT staffers to employment with DXC Technology, an IT and consulting services company it has worked with since 2012. 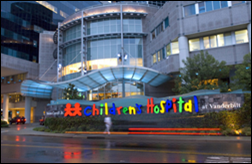 The health system previously announced plans to transition 2,300 billing employees to employment with R1 RCM beginning April 8. 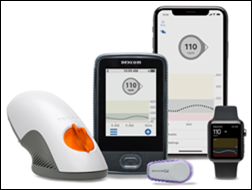 The FDA approves Dexcom’s G6 interoperable continuous glucose monitoring system. Mercy Health-Cincinnati invests in local startup Crosswave Health and its FindLocalTreatment.com addiction services look-up tool. Mercy Health formed an Addiction Treatment Collaborative in January to help its patients find longer-term treatment options. Two hundred investors wonder how their lawsuit against Theranos and its founders will fare once the SEC is done with its criminal investigation. The investors, who bought shares through their investment funds, are looking to graze over the company’s remains, which include dozens of patents and potentially the personal fortune of former President Sunny Balwani, recently estimated by a magazine at $100 million. Tenet Healthcare (TX) selects Inovalon’s VantageCPS cloud-based analytics software for its post-acute care services. 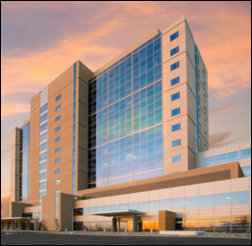 Western Maryland Health System chooses Artifact Health’s physician query software. Plum Healthcare Group will implement FormFast Connect Powered by Salesforce for resident intake across its 65 SNFs. 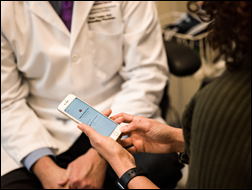 Vanderbilt University Medical Center (TN) integrates mobile voice, text, and broadcast functionalities from Mobile Heartbeat with its Rauland-Borg nurse call system and Epic EHR and goes live on the system. Image Stream Medical develops EasySuite 4K imaging software for the OR. 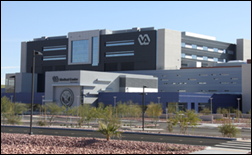 VA Southern Nevada Healthcare System implements LiveData’s PeriOp Manager with EHR integration help from DSS. Apple moves its Health Records app out of beta. Thirty-nine healthcare institutions have signed up to make patient records available via the app. The Patent and Trademark Office awards Glytec two more patent allowances for its FDA-approved EGlycemic Management System. Northwell Health (NY) staffers help concerned citizens at DataBreaches.net and UpGuard alert a New York-based medical group with zero Web presence that it had left 42,000 patient records and millions of patient clinical notes exposed on a misconfigured rsync backup for over a month. UnderArmour says the information of 150 million users of its MyFitnessPal app was exposed in a February breach, although the information it stores is minimal (username, email, and encrypted password). A new paper by Google Cloud researchers says that while AI can help radiologists do their jobs more efficiently, it can’t replace them, noting that it can only do a small part of their job. The only newspaper article I could find is behind a paywall, but it appears that the new government of South Australia will follow through on its promise to halt the SA Health rollout of its over-budget, behind-schedule, Allscripts-powered EPAS system. A NEJM Catalyst article says the “two-canoe system” — in which nearly all physicians work under both fee-for-service and value-based payment arrangements – encourages doctors to provide suboptimal care at a higher cost. Their moral dilemma of doing what’s best for their patient vs. what’s best for their wallets is contributing significantly to their burnout, the authors conclude, also noting that the public may start pushing back on their focus of generating revenue. 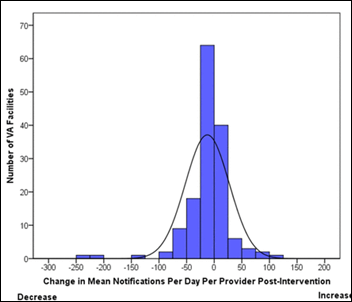 A study of VA facilities finds that reducing low-value EHR inbox notifications saved 1.5 hours per week of PCP time, although the information overload remains unmanageable and will require more work to fix. Child protection workers across Montana are using Project ECHO’s telemedicine capabilities to compare notes and connect with child psychiatrists and other therapists at Billings Clinic (MT), which launched a Project ECHO hub several years ago. An analysis of 7 million patient reviews on Healthgrades finds that patients place the most value on the amount of time their physician spends with them, particularly in the areas of their willingness to answer questions, listen to concerns, and ensure they understand their conditions or procedures. A coroner’s inquest into the death of a knee surgery patient in a hospital in Australia finds that clinicians had a “persistent failure of critical thinking” when an anesthesiologist mistakenly ordered him a fentanyl patch and PCA that was intended for a different patient. The anesthesiologist noticed the PCA later but assumed someone else had ordered it, while nursing and pharmacy employees failed to catch his mistake. The doctor said he was distracted while trying to manage two patients and forgot which patient’s record was displaying on the EHR. He overrode system warnings for overdose, drug interaction, and duplicate therapy. It was his third time using the newly implemented system. The coroner recommend further training, changes to EHR screen and label layouts, and a hospital review of medication administration procedures. Weird News Andy refers to this story as, “Not going, not going, not gonorrhea.” A UK man receives an unwelcome surprise after a sexual encounter in Southeast Asia – the “worst-ever” case of gonorrhea that is resistant to all common antibiotics. CommonWell Health TV features Ellkay CIO Kamal Patel. Consulting Magazine recognizes The HCI Group CEO Ricky Caplin as a global leader in consulting. The local news interviews Imprivata CMO Sean Kelly, MD about the company’s palm vein scanner ID technology. Liaison Technologies partners with Tierion to extend blockchain capabilities to its Alloy platform. Black Book Research recognizes LogicStream Health for highest client satisfaction and clinical process improvement. Mobile Heartbeat will exhibit at the American Organization of Nurse Executives annual meeting in Indianapolis April 12-15. Clinical Computer Systems, developer of the Obix Perinatal Data System, will exhibit at the annual IA Conference on Perinatal Medicine April 3-4 in West Des Moines, IA. Experian Health will exhibit at HFMA Hudson Valley April 5 in Tarrytown, NY. In the UK, St. Stephen’s Clinical Research implements Elsevier’s Macro electronic data capture solution. The US Patent and Trademark Office issues two more patent allowances for Glytec’s eGlycemic Management System. Medicision adds CarePlanner 360 to its line of Aerial care management solutions for payers and risk-bearing organizations. Sounds like his is a ceremonial title. I doubt that he has commanded more than several hundred men. No one, if the results are good. But that’s not the issue. If you don’t hire someone who’s qualified and results are poor, you’ve wasted time and money (not to mention possibly lives of vetrans who didn’t receive proper care during that tenure). The question isn’t “who cares if the results are good”, the question to ask is “are we putting the best possible person in the job to succeed going forward”, because that’s all we can judge today without the benefit of hindsight. Perhaps he’s qualified, I have no idea what his military duty entails, just making a general statement here. Run into this all the time, where delineating “judging” and “best” are often ambiguous criteria. Not trying to change opinions, just noting that attributions exceeding expected outcomes seem the best harbinger of continued success, and I can’t grasp how a Rear Admiral nominated to lead the VA exhibits less that atypically successful performance. I’d venture that valuing optics over outcomes is fine for some and different for others. Not sure what you mean you “run into this all the time”. You run into the opinion that someone who gets a job running a large organization like the VA should have relevant experience in their past? I’d agree that he likely has been very successful and exceeded outcomes as a military doc. Do those skills translate? I don’t know, but imho it’s a valid question to ask. Also, “I’d venture that valuing optics over outcomes is fine for some and different for others.” is just a thinly veiled insult to people who have a differing opinion than you and lends nothing to your argument.